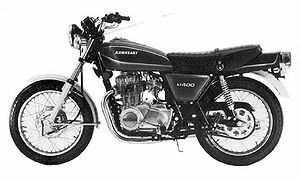 Remarks: Improved KZ400S. Has five gears, diaphragm fuel tap, automatic side stand return mechanism, and 2-into-1 exhaust. Needle bearings are used in swing arm. This page was last edited on 10 December 2010, at 02:30.